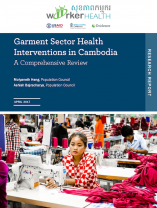 Women’s rights are often addressed in limited ways, if at all, in corporate or workplace codes of conduct. 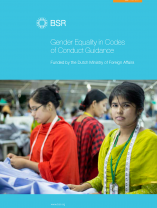 To redress this, BSR—with support from the Dutch Ministry of Foreign Affairs and expertise of the Evidence Project/Meridian Group International, Inc.—has developed the Gender Equality in Codes of Conduct Guidance. 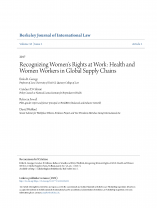 A new article has been published in the Berkeley Journal of International Law entitled Recognizing Women’s Rights at Work: Health and Women Workers in Global Supply Chains. 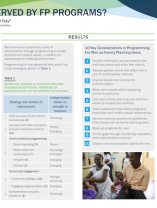 Are Men Well Served by FP Programs?